India is a pool of hiking and trekking spots, an adventurers paradise. No matter in which part of the country you will go, you will be able to find one. The most prominent ones are in the North and East side of India as the Indian Himalayas range stretch widely here. Below, I will cover 10 treks and hikes in India, depending on the time you have to explore the place. I will also talk about the difficulty level of them as well as some other key things to keep in mind while hiking in India. Prashar Lake lies in the Mandi district at an altitude of 8,9450 feet. This lake is truly mystical and is considered a holy. There is a temple as well at the side of the lake. The peculiar thing about this lake is that it has a little floating island right in between. Another one is that no one knows the depth of this lake. The locals believe that this lake is bottomless and has divine powers. To reach this lake, you can either trek or can take a bus instead, depending upon the time you have. The trek goes through the forest areas and the trails are not properly defined as well. Also, only limited tourists trek to this place. This makes the trek even more adventurous. Also, here you can choose to camp or go back to Mandi on the same day itself. Although I would highly recommend camping here as both the sunset and the sunrise are beautiful and alluring. Kedakrkantha is a famous trek that is mostly done during the winters. 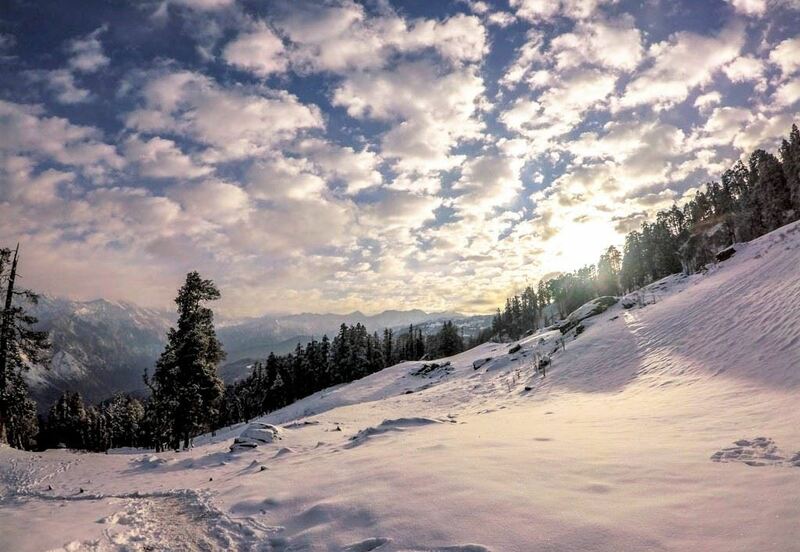 Lying at an altitude of 12,500 feet, Kedarkantha lies in the Uttarkashi region of Uttarakhand (north India) It is famous for its winter trails and snow and from here you can see the gorgeous ranges of the upper Himalayas. The trek takes three to four days mostly and there are many tour operators who undertake guided experiences there. Indeed, this one is one of the best treks in India. We went during the month of January where we experienced snowfall, temperatures in negative, camping on the snow sheet and beautiful sunrises. This trek is challenging for both the mind and the body but truly worthy nonetheless. In the middle of nowhere, you will also come across a lake, known as ‘Juda ka Talab’ which is a breathtaking site to see. And once you are done, why don’t splurge on a luxurious retreat at the nearby Ananda In The Himalayas by The Romance Collection Hotels? Surely there aren’t many better ways to restore your body and mind after a challenging trek. Kheerganga is a paradise for us Indians as well as Israelis. This is a paradise of green where most of the stoners come for grass and weed. But Kheerganga is not famous just for this, it has a hot spring etched right in the middle of high mountains. Camping was allowed earlier here, however, due to ecological imbalance the camps have been banned. So tourists mostly stay in Tosh instead, or come back to Kasol and stay here instead after experiencing the hot springs. The trek is fairly simple and trails are well defined. It takes about four hours to reach Kheerganga from Kasol. Dhankar Lake lies in Spiti Valley of India. Spiti Valley lies in the Northernmost region of India and is known as the cold desert of India. Being a barren land made of sand it gets really cold here that it snows during the winter season. 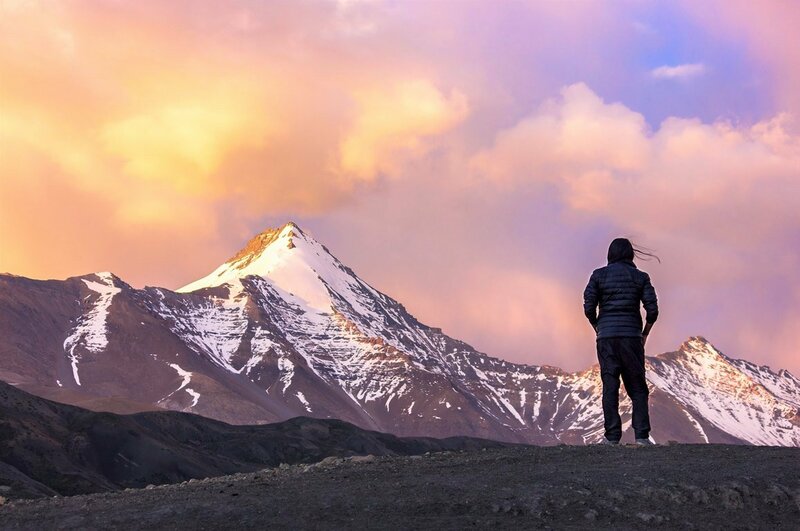 Spiti Valley is also known as the middle land of India as it lies right in the middle of Tibet and India. 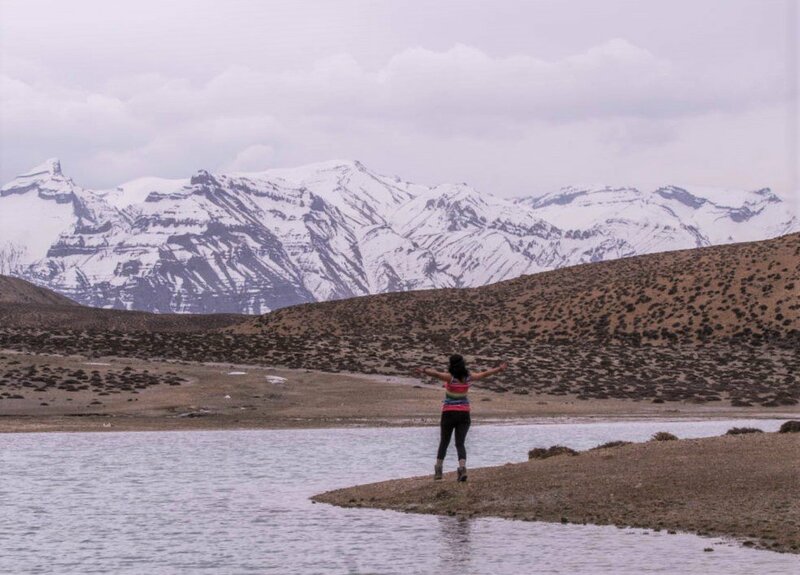 Dhankar Lake lies at an altitude of 13,600 feet. This lake is just an hour hike from the Dhankar village and the lake is the water supply for the villagers of Dhankar. The lake lies in the middle of snow peaked mountains which makes it very majestic. The hike is fairly simple with arrows marked to let the tourists know of the path. However, camping is not allowed near the lake as this place is considered holy. Rupin Pass is a trek which starts in one state of India and ends in another. Isn’t that cool? The trek commences in the last villages of Uttarakhand and ends in the Sangla village of Himachal Pradesh. The trek is moderately difficult and takes about a week to complete, but the landscape and scenery keep changing at every turn making this place serene. You have to climb forest, walk through meadows and cross passes. In this trek, you attain an altitude of 15,380 feet. Furthermore, every day one needs to walk for 5-6 hours to cover 10 KMs. You will also enjoy numerous waterfalls and glaciers on the way and one needs a tour operator to go on this trek. Triund lies in Himachal Pradesh state and is near Dharamshala. The hike to Triund hill is fairly simple and you won’t need a guide for this place as the trails are defined and proper. Triund is one of the most sought-after places to go to by the tourists hence it stays mostly crowded, but then again it is one of the most beautiful places to visit. 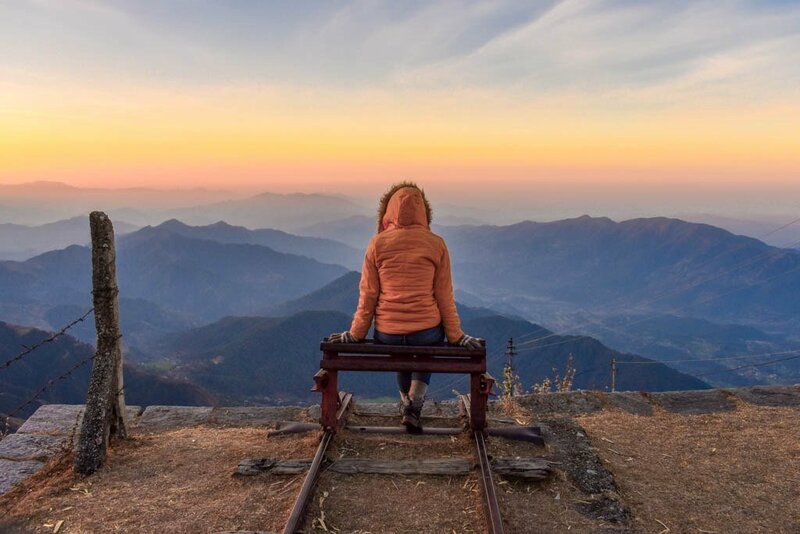 Here, both the sunrise and the sunset will take your breath away and the gorgeous marble like peaks of Dhauladhar Range at your back with the view of Kangra valley ahead is truly breath-taking. On average, it takes about four hours to reach to the top and depending upon the time you have, you can either camp here and watch the milky way or come back down the same day. Roopkund has everything that a trekker can wish for. There are virgin trees, meadows, and snow. The trek is for six days and takes you from an altitude of 8,000 feet to 16,000 feet. Further, there are alpine stretches and snow on the Roopkund lake makes everything worthwhile. The key highlight of this trek is that you can see Mount Trishul, Chaukhamba range, Neelkanth peak, Kedarnath, Kedar Dom and it takes you through forests of fir, Rhododendron, and Oak. The trek is moderately difficult and various tour operators take tours to this place. Winch Camp lies in Barot, a small village that is not known to many tourists right now. There are two hiking spots that leave for this place, one is from Barot and another one is from Joginder Nagar. To reach here, one has to hike through a railway haulage that takes two to three hours to reach. From Barot side, this railway haulage takes a gradient of 90 degrees and the valley is also known as ‘Khooni Ghati’ (Murder Valley). Further, after reaching Winch Camp camp here because one should not miss both the sunrise and the sunset up here. 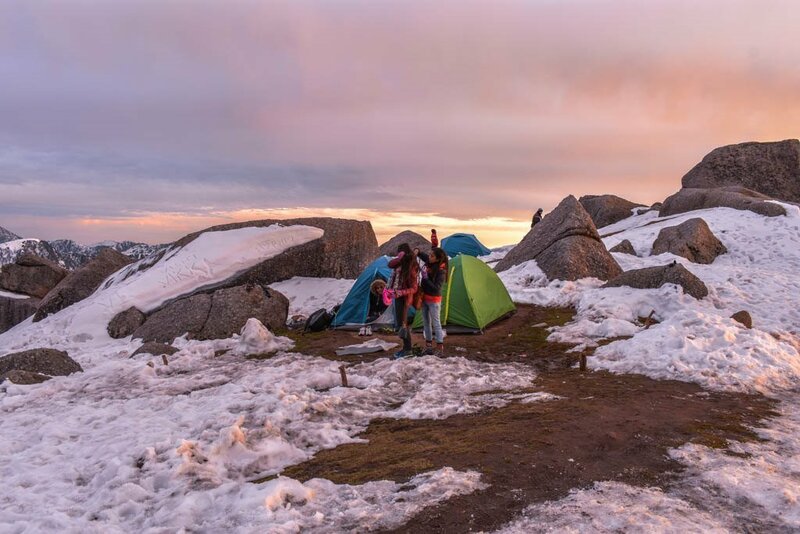 It is better though, to go here with a trekking in India organization since camping during the night gets a little dangerous due to wild animals. Lighting a fire is one of the ways to keep them away. 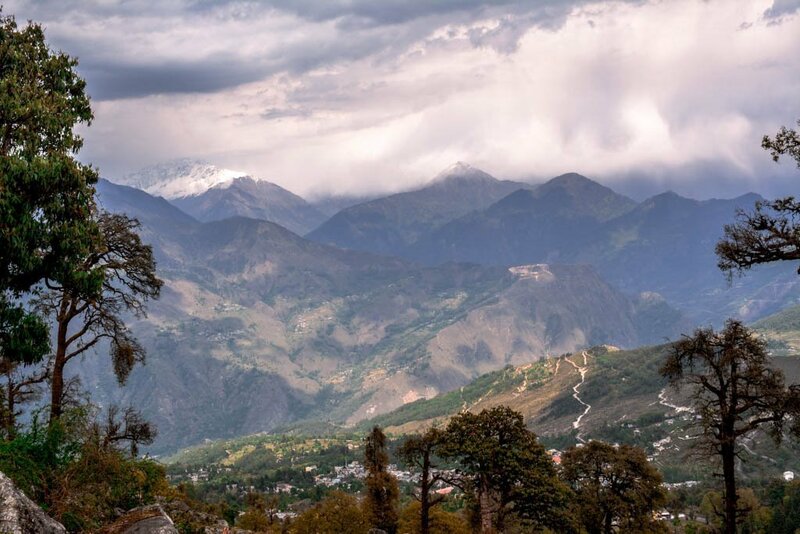 Mussoorie is the most sought-after trips Indians take, especially during the weekends. It is a perfect weekend getaway for people. However, a lesser known place which tourists usually are not aware of is ‘George Everest’. George Everest is one of the go-to places in Mussoorie and to reach here one has to hike for an hour. It is a fairly simple hike with a defined route. This place is really peaceful and quiet with Tibetan flags stretching from one corner to another. The specialty about the name is that Sir George Everest who was surveyor general of India was responsible for completing Trigonometric Survey of India and thus, a tribute was made for him. Khaliya Top lies in the upper region of Uttarakhand in the Munsiyari region. It is a perfect place to witness the snow-capped mountains. From here, you can see the Panchchuli Peaks. 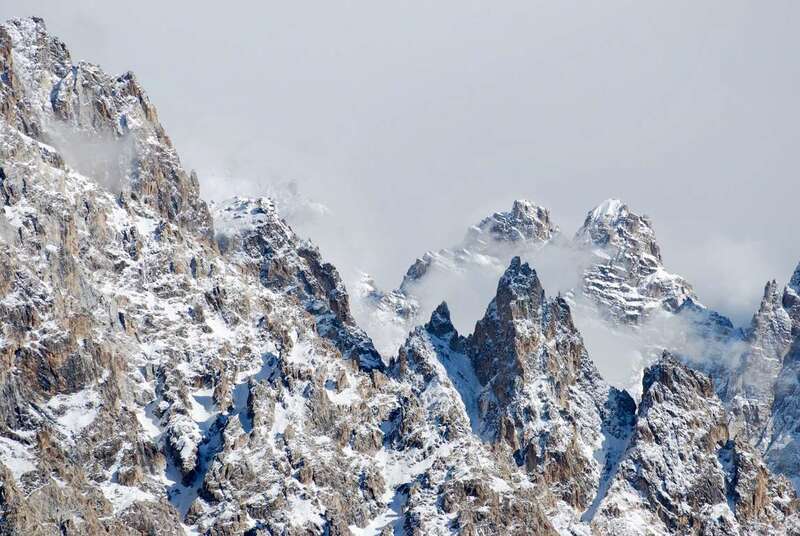 There is a famous story behind these peaks. Mythology says that Pandavas of Mahabrata stopped here to cook before going to heaven. ‘Chuli’ in the word Panchachuli means Chulah, which means cooking hearths. Tourists hike from Munsiyari to Khaliya Top to see the Panchchuli Peaks a little closer and better. The most famous view of this place is seeing a moonrise right after the sunset. And the golden rays that fall on these peaks make the mountains and valley even more divine, giving them a nice gold touch. The hike is fairly simple. You can easily hike to this place and trek down the same day. It takes about an hour to two hours to reach the top. India is a place with the perfect confluence of several landscapes. And one can hike to so many different places here and see the actual beauty of India. Further, there are so many mountains in India to climb and lands to walk on that just going on one hike would not be enough. 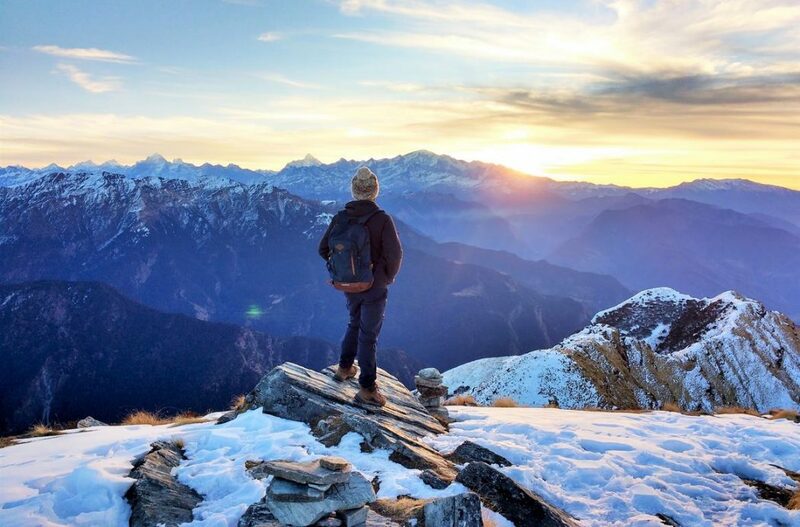 These 10 Indian treks and hikes are usually the most sought after, but there are several hidden trails to explore here as well depending on how adventurous you want your India tour to be. Are you ready to fall for the mighty Indian mountains? Contributing members are responsible for the accuracy of content contributed to A World to Travel. I am a travel blogger, an avid YouTuber & an IG influencer based in New Delhi. I am a co-founder of the blog Nomllers and you can find my work on my YouTube and Instagram. See You At India's Madhya Pradesh Travel Mart 2018? Such a great article. You have a lot of treks in India which will help to plan in future. I have just completed goechala trek this year. Next year, I was planning for valley of flowers. But looks like Roopkund trek will good one. Could you tell me which time is best for Roopkund trip?